Whiffs, wafts and steam are all part of cooking, but nobody wants the aromas and moisture to stay around for long. 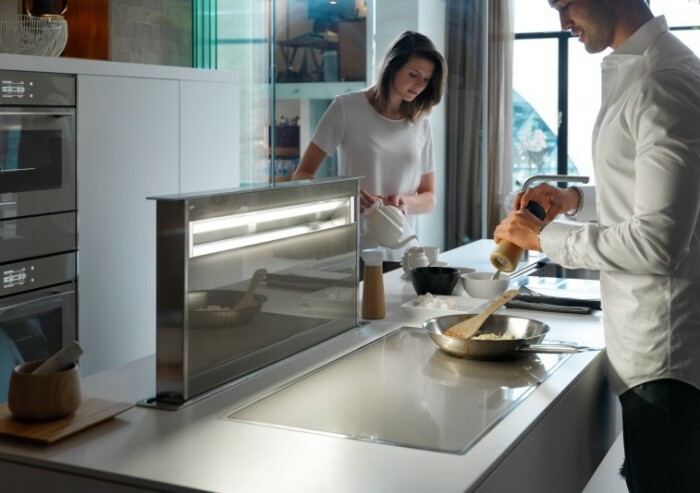 We offer a range of state-of-the-art extractor hoods to help clear the air and maintain a pleasant environment. Hoods that switch on and off automatically. Extractors that pop up from your work surface. Wall-mounted hoods. Hoods for islands. Glass, stainless steel and a choice of colours — we have exactly what you need, with a range of clever tech features, so you can focus on your family, friends and food. Browse our cookers & hobs or explore our other great products and appliances here.